Solid pressure-treated wood 6x6 posts sleeved in vinyl and decorative base and capital. Double 2x8 headers with pressure treated wood sleeved in white vinyl for strength and a non-sagging appearance. Full width 2x6 rafters joists that span across the shorter side and 2x2 runners span the longer side. Anchor brackets for anchoring to concrete pad and wood decks. 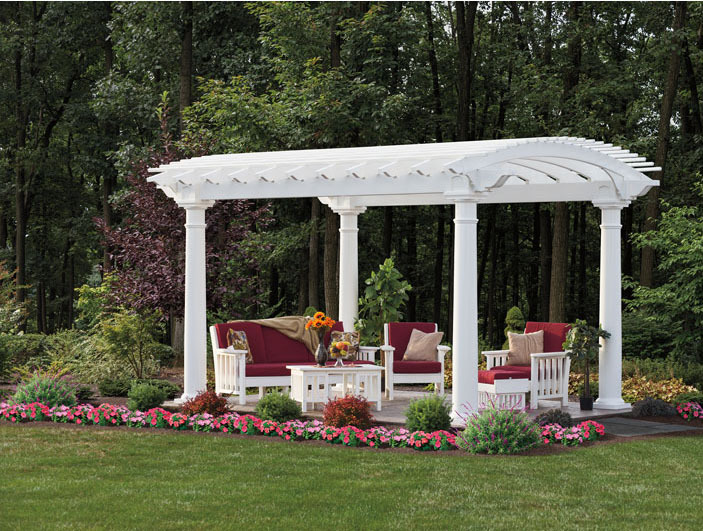 10" Column: Gives your pergola a Mediterranean feel.